The Urban Wilderness initiative is unprecedented in our city. The idea of taking isolated and often under-visited parks and connecting them with more than 40 miles of trail has created a synergy in south Knoxville that is transforming it into a huge outdoor destination. At the core of that synergy is the Appalachian Mountain Bike Club. 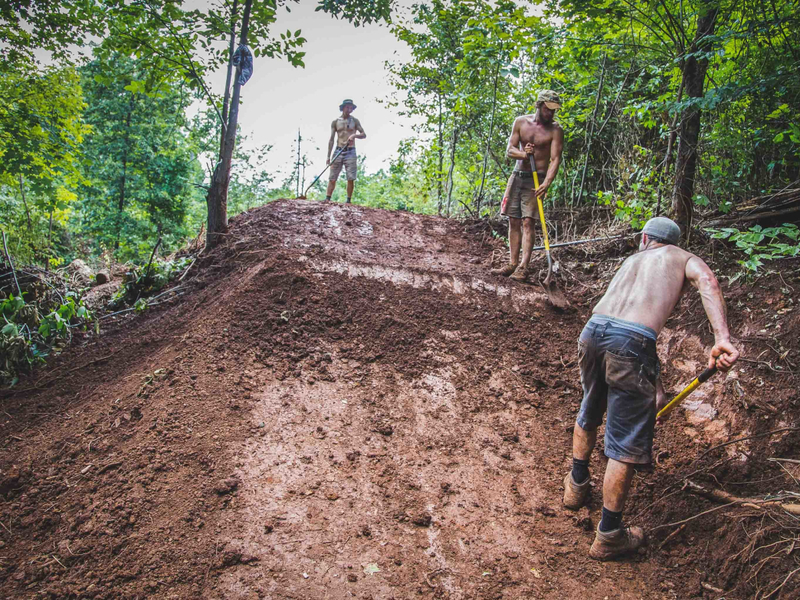 They host some of the most consistent social gatherings in the city with their weekly rides, obtain large grants and land easements, and work tirelessly to build and maintain a huge portion of the trails that exist in Knoxville. They’ve taken public areas with once-seedy reputations like Sharps Ridge and built miles of recreational space, pumping life into parks, improving the quality of life for residents, and increasing the market potential for local businesses. Businesses, parks, people, and public image: they're all connected, says AMBC president Matthew Kellogg. And according to him, the connectedness is set to continue spreading. He talks to RootsRated about the work that AMBC has done as well as its future plans. Matthew, thanks for taking the time to talk with us. Can you start by saying a little bit about AMBC? Of course. As it says on our website, we are a nonprofit organization that promotes sustainable trail access for mountain bikers. What that means for the day-to-day is a lot of digging, construction of new trails, and maintenance of over 100 miles of existing trail in the Knoxville area. We are a chapter of the International Mountain Bicycling Association, and we have strong regional and national support. Tell us about your role at AMBC. 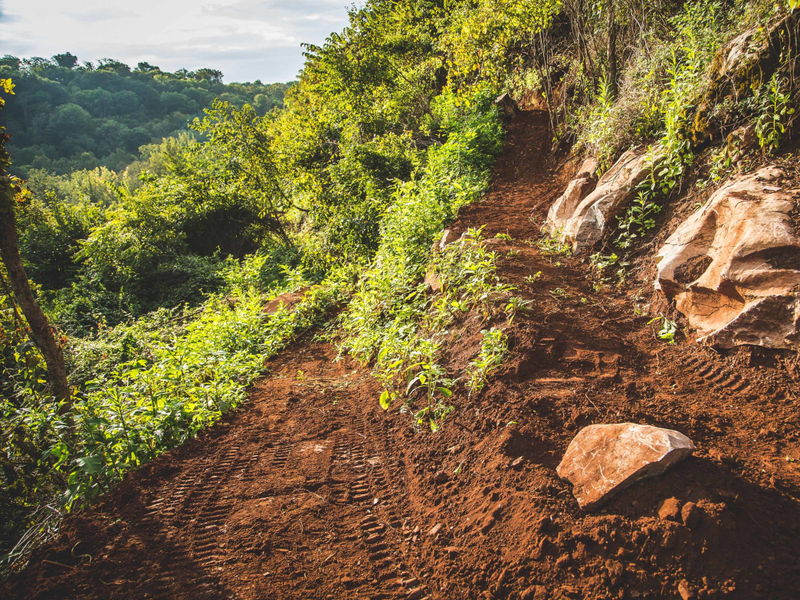 I started as just a guy who loved riding the trails here in Knoxville, and I often wondered how these trails were getting built and maintained. I eventually made a decision to get involved and started attending the monthly meetings and joined in the social rides and work days AMBC offers. Last August, I took over for Brian Hann as club president. Brian groomed me well and left the club in a great position to thrive. What kind of progress have we made on trails system in Knoxville in the last 10 years? The progress we've made can really be captured in one word: Connections. We have assisted Legacy Parks in connecting parks to parks and in turn people to parks. This is a trail network that is nestled into the south Knoxville community. The mountain biking community here has grown into an amazing and energetic group of people, and it's all about hard work, good fun, and, at the end of the day, a great place to ride and live. It really has been amazing to see excitement and interest in the outdoors grow in Knoxville, specifically in south Knoxville. Ijams and the Urban Wilderness and AMBC have been a big part of that. What does this next expansion look like? 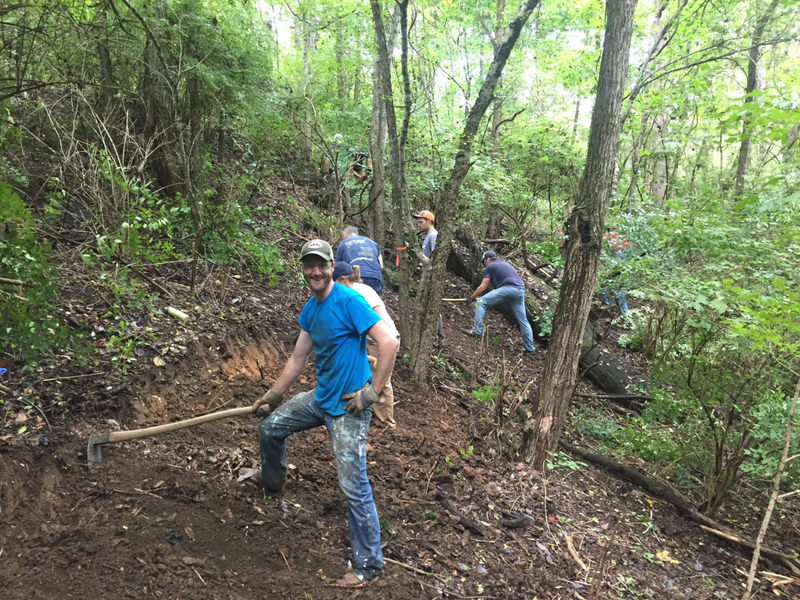 We’re working hard to expand both the network of trails in Knoxville and the network of relationships and connections we have with land managers. Right now we’re focused on the Wood Property Project. The Wood property is a 100-acre property donated to Legacy Parks Foundation by the Wood family. It has a two peaks, a spring-fed creek, and fantastic views of town. It is situated on the far-west end of the Urban Wilderness and is just three miles away from Market Square. We hope to have it be the main entrance for the Urban Wilderness in the future. 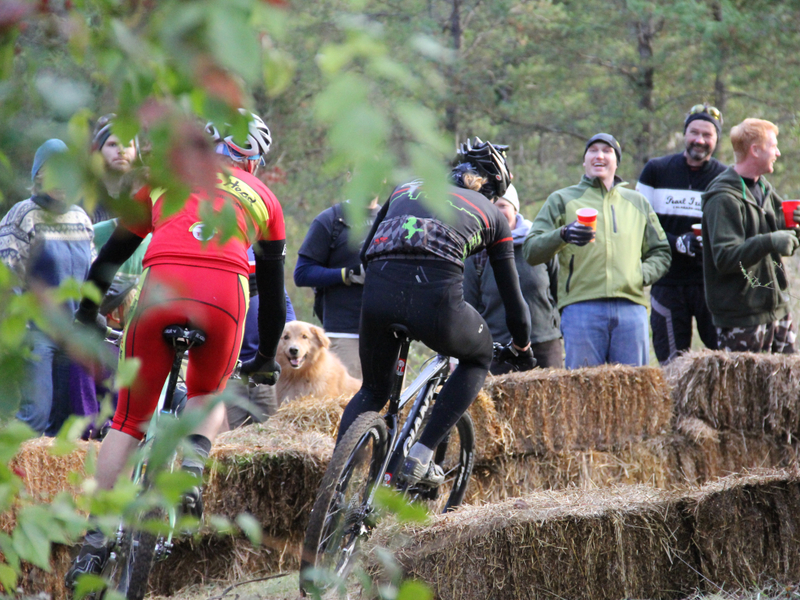 The plan for the Wood property is twofold: The first phase involves the construction of the Bike Park, which will help prepare the Wood property for community events like the National Interscholastic Cycling Association race coming up in a few weeks. This area will include six miles of trail rated from beginner to intermediate and will help prepare riders for the more difficult sections out in the remaining 42 miles of Urban Wilderness. The second phase adds the Bell Built trail, two miles of black and double black gravity trails that will serve as an event course and a challenge to the best riders. We're also working on a trail corridor along Brown Mountain that will connect the existing trail system in the Urban Wilderness to IC King Park and allow us to reach a major AMBC milestone: 100 miles of trail built in the city. You mentioned gravity trails. What exactly is a gravity trail? 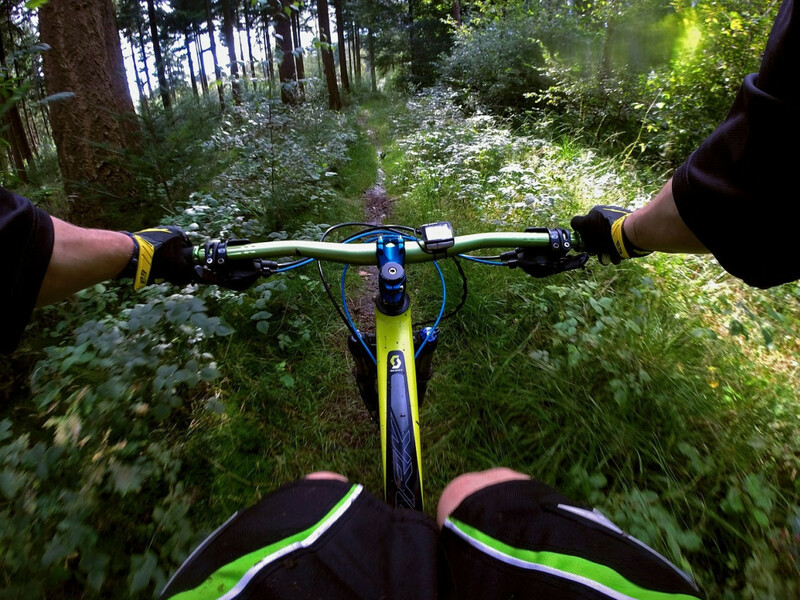 Gravity trails are directional, bicycle-optimized trails—with features both man-made and natural—that challenge the user in many ways that traditional cross-country trail don’t. Who will benefit from the new, expanded network? There are going to be some restrictions on the new gravity trails—these trails are optimized for directional bike traffic. But with that, we are also building alternative trails that give other users access to the same terrain. It’s a win for everyone, including the existing and new business owners in the area. We are proving that trails are an economic driver and can be a sustaining force for our community. How are you making this vision a reality? We have support from all facets of the Knoxville community, but our greatest asset is our members’ time. During work parties, we log thousands of hours on the trails. And while there is real monetary value to that time, the buy-in and commitment it cultivates in our members can’t be quantified. It’s priceless. 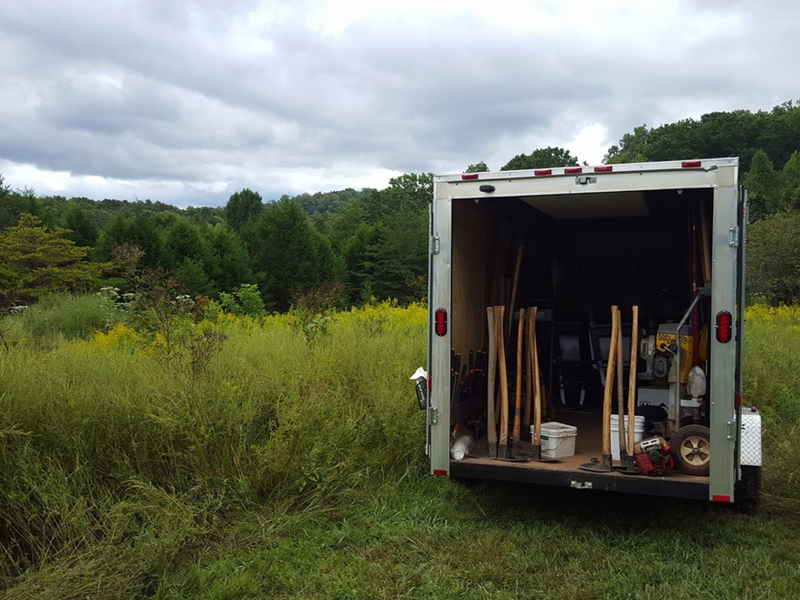 We also get financial support from both city and county parks departments for specific projects each year, and we have received numerous grants to support our mission of digging trail. The club is currently hand building trails on land easements we obtained. The project will continue to grow, hopefully indefinitely. We want to put Knoxville on the map as a destination for not only cyclists, but to all those interested in outdoor recreation. How can people who are excited about this project help? People can get involved by joining us for our meetings, which take place on the 4th Monday of each month at Central Flats and Taps at 7 p.m. They also can join us for a workday. Many hands make for light work and a great time. Club info and ways to join and donate are online. Last question. What is your favorite trail in Knoxville? Well, my favorite section of trail is always changing, but the Bluff Trail at Forks of the River in the fall offers great views along the French Broad, physical challenges, and it also highlights our partnership with TWRA and Legacy Parks. It sounds like a hokey party line, but the access that we have on that WMA is unprecedented and we are thrilled to have it as a part of the urban wilderness.